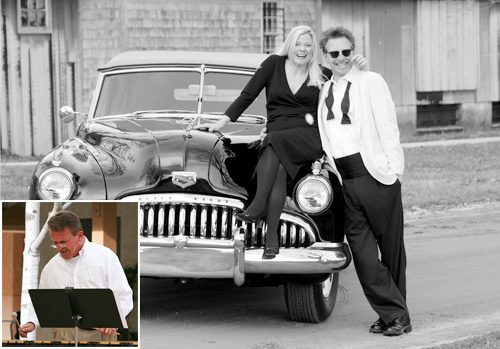 Friday Night, October 14th..Founders and Co-Producers Eddie Sherman and Peggy Raley take the Stage at Clear Space Theatre for 2 Shows of the best Straight Ahead Jazz you’ll hear anywhere! In Downtown Rehoboth Beach…where it all began years ago with a celebration honoring Straight Ahead Jazz…& that’s where we will continue the tradition! Audiences will be treated to renditions of Songs from the Great American Songbook as only Eddie Sherman & Peggy Raley can deliver. No greater love of this music, or heart and soul when it’s sung, can be found on any Stage across the Delaware Beach during this tribute week to this singular American Art Form we call Jazz. Add to this recipe of love for Straight Ahead Jazz, the genius of Joe Holt on the SHADD Grand Piano, with the ever-ready and ever-steady Mike McShane on Drums…and you have THE most emotional tour through the Jazz Standards that you will experience anywhere this week, at any price! We are thrilled to be joined this year by two stellar guest artists, Norm Freeman on Vibes and Geoff Gallante on Trumpet. The Reverand Norm Freeman is an Espicopal Priest with both his bachelor’s and master’s degrees from Julliard. Norm’s Jazz Ministry takes his quartet around the country performing Jazz Vespers services but that is just one piece of his musical tapestry. Norm slides effortlessly from performing with his quartet, performing with the New York Philharmonic to touring with Barbara Streisand. We are so very excited to bring Norm into the Eddie Sherman mix. Trumpet prodigy, Geoff Gallante, now 15 years old, continues to amaze and excite audiences who have witnessed the evolution of this young, instrumental powerhouse. True Blue Jazz audiences can never seem to get enough of this wonderful, very special artist. We can’t ever get enough of Geoff! The repoire he has developed with our core group is magic to behold. Don’t miss the LIVE Jazz, the spirit of this fun-filled evening! It’s a rollicking good time when The Eddie Sherman Show featuring Peggy Raley headline our Friday Night Show! Be there to catch all the Straight Ahead Jazz and all the entertainment in THIS Room!!! All Tickets Sold “Best Available Seating”. Catch the Early Show: 730p-845p…or the Late Show: 930p-1045p. Don’t wait to get your Tickets….this will be a packed House!! !